COMMERCIAL projects include offices, retail, mixed use and industrial buildings. The Benevento apartments is a 31,000 sq. foot, four-story building, with 4,500 sq. feet of ground floor retail space, 24 apartment units, and 18 secure/semi-automated parking spaces. The structure consists of three stories of wood-framed construction over a reinforced concrete and post-tensioned concrete slab podium. 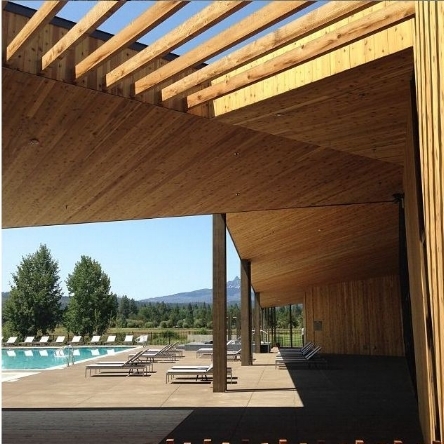 15,000 sf Pool house, Bistro, and Recreational Building at central Oregon resort. Crystal Creek Medical Office Building is a two-story building in downtown Gresham. The structure is clad in brick masonry, metal panels and accents of weathering steel. 10,000 square foot, two story office building.The gravity system consisted of 60 foot long trusses spanning to an unsheathed 2x6 wood bearing wall that was spaced to align with a structurally independent curtain wall. The lateral force resisting system consisted of drag struts which transfer load to a central concrete core, integrated with steel braced frames around the perimeter.